Should you still buy a diesel car in 2018 - 2019? Parsimonious, low-CO2 diesel cars were not long ago hailed as the answer to hard-pressed drivers' dreams: a fuel that cleverly managed the trick pulling off lower fuel consumption, exhaust emissions and running costs for higher miles-per-gallon fuel economy and longer range between refills. What wasn't to like? French and Italian car makers led by the Fiat group pioneered common-rail injection and by the late 1990s the premium brigade had waded in; suddenly the BMW 330d looked appealingly fast and frugal, revolutionising the appeal of oil-burners. Britain’s motorists responded in kind: sales of diesel cars soared from just 19% of the mix back in 2007 to a record high of 56% in 2011. But then ‘VW Dieselgate’ happened in 2015, poleaxing the fuel’s appeal almost overnight. So will diesel cars be banned? As a fuel, diesel’s been around for more a century, don’t forget; Rudolf Diesel came up with the eponymous motorised engine in the late nineteenth century and it’s worth remembering that the fuel is chemically more energy-efficient than burning petrol (hence the superior mpg and fuel economy in a low CO2 diesel car). The good news is that modern diesel engines - those meeting Euro 6 emissions regulations, and forthcoming, even tougher EU7 limits - are impressively clean, with sufficient exhaust after-treatment built in to trap the nasties that give diesel a bad name. Forget the file pictures of dirty taxis rolled out by TV news reports; a well-maintained modern diesel won't in fact belch out black smoke in cities. Technology such as AdBlue and diesel particulate filters (DPF) are designed to filter out the soot particulates and nitrogen oxides (NOx) emissions that have been linked to ill health. (Volkswagen was caught artificially tricking its cars’ ECU electronic brains into lowering these in lab tests to meet ever stricter emissions laws, sparking the emissions scandal that broke in autumn 2015). Authorities worldwide are drawing up roadmaps to clean up internal combustion engines (ICE), as petrol and diesel cars enter their twilight years. Some countries, including Great Britain, have made grandiose pledges to phase out ICE entirely by 2040, but the reality is that most economies will still rely on fossil fuels for many years, decades even, to come. Our view is that many drivers, especially those doing long-distance trips and motorway miles (say 20,000+ miles a year), will likely still be financially better off picking a diesel car, on account of its better mpg. Check out typical fuel economy figures in our long-term tests to calculate your expected annual fuel bills - to see if you'd be better off with a diesel car. We'd wager many motorists will still be better off at the black pump. If you consider the oil refinery infrastructure and the sheer volume of diesel vehicles on British roads (the SMMT tells CAR magazine there are 13.8 million diesel cars, vans and lorries registered today), you realise that the fuel cannot simply be abolished overnight. The country simply cannot switch wholesale from or to any one fuel source, whether that’s petrol, diesel, electricity or hydrogen. This will be a phased paradigm shift, most observers agree, rather than an overnight change. Our forecast is that diesel will continue as part of the energy mix for many years to come (albeit with a falling market share), but will continue to clean up its act with the latest technology. Future legislation in Europe will impose ever-tougher emissions controls on cars that do burn fuel. So you can expect future Euro 7 and, eventually, Euro 8 laws to clamp down on pollutants even further, meaning you can in fact buy a modern diesel car with confidence for some years to come. Should I trade in my diesel car and sell it now? All the evidence from the major valuations services suggests that diesel car residual values are gradually falling - but they're not collapsing. Amidst all the consumer uncertainty over the fuel’s future, some buyers are shunning derv cars and considering switching back to a petrol car - or taking a leap into the electric future, with either a pure EV or a stepping-stone hybrid car. Should you sell your diesel car? If you’re thinking of upgrading anyway, it’s definitely worth looking at some of the old diesel car scrappage schemes popping up in UK showrooms. Many manufacturers are encouraging punters to upgrade by offering generous payments towards a new car if they trade in an EU4 or earlier diesel car, and you could save thousands off a new car by taking an old diesel off the road. 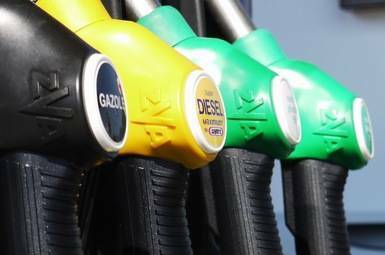 Valuations experts at CAP recently studied the effects of depreciation on diesel cars, suggesting that larger diesel cars are still in demand as used purchases, owing to their superior fuel economy. I’m still not convinced by a diesel though… should I take the plunge and go for a hybrid or electric car? Many buyers are at this crossroads in 2018. For some, being an early adopter will be anathema - a plug-in car might be suitable for their next-but-one purchase, once a better recharging infrastructure is in place - but others may find they can switch to an electric car already, especially if they do lower, more predictable mileages and have access to charging points at work and home. If you’re wondering how much EVs cost and which the smartest recommendations are, be sure to check out our guide to the best electric cars of 2018 below.